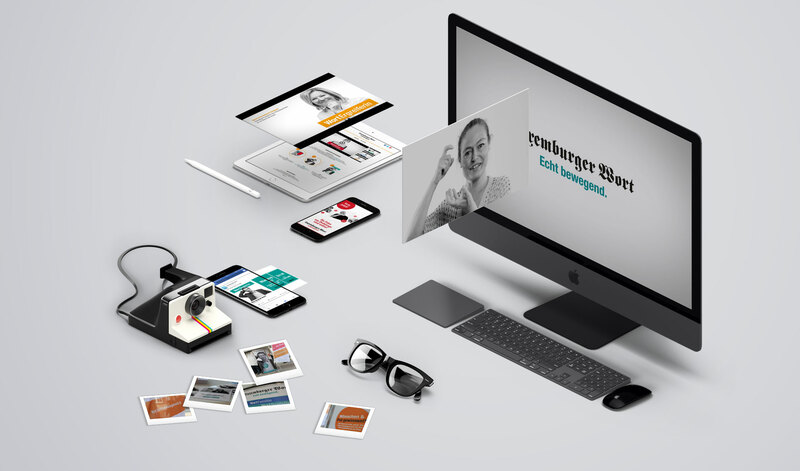 The “Echt Bewegend” campaign worked to change the image of the Luxemburger Wort with the general public. The key conceptual question was to understand how readers react to information in the newspaper. This process took into account the publication’s emotional link with readers. The challenge was to reinforce the relationship between the reader and the newspaper’s content. We acheived this by putting the reader at the heart of the campaign. 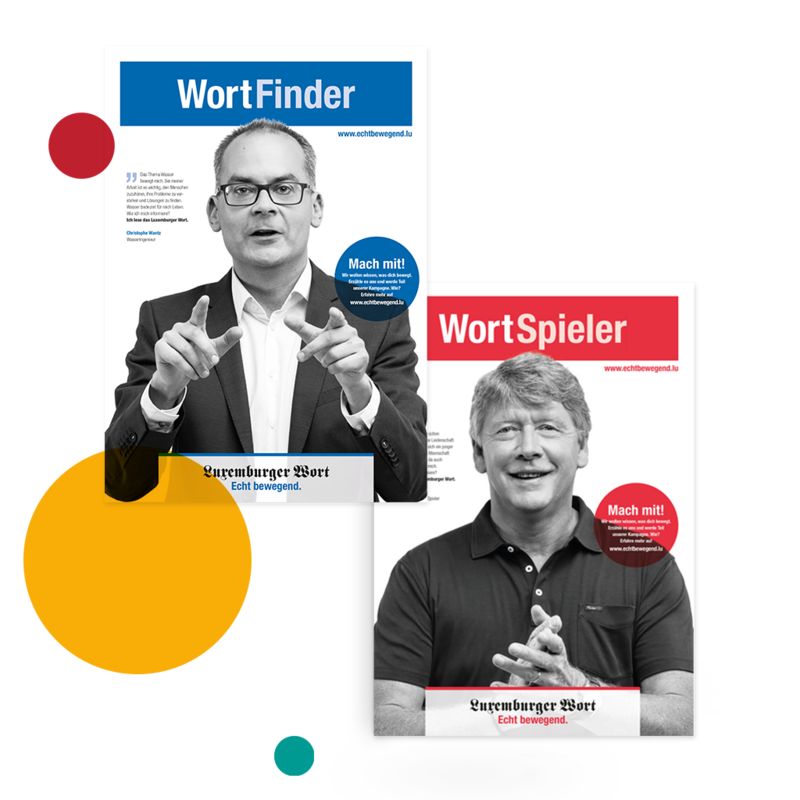 The “Wort” brand is vibrant and close the reader. We worked to understand what moved people and to share more widely their thoughts and feelings. 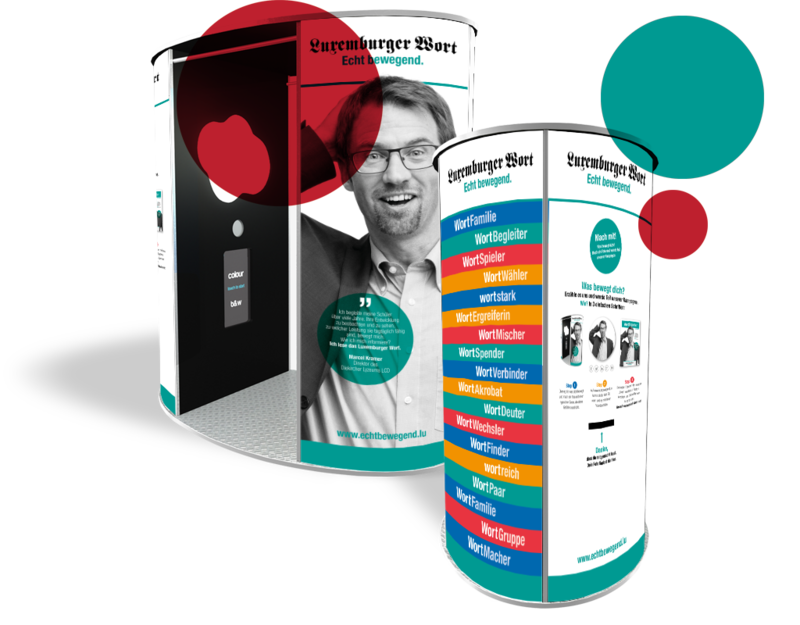 In a specially designed photo booth in Wort colours, readers were able to express their opinions freely when asked “what stirs your emotions”. The resultant photos of readers became part of the campaign. More than 300 people took part. 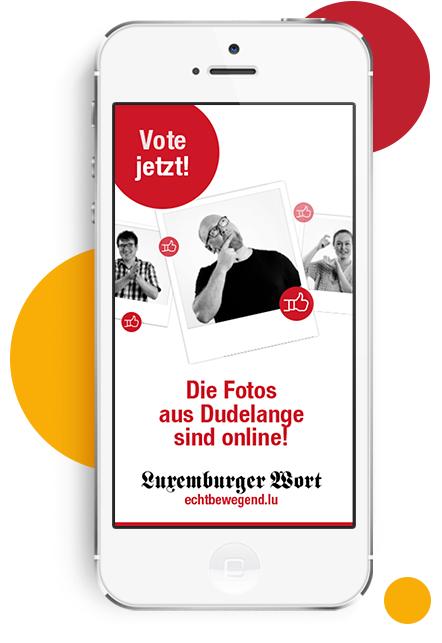 Photos of participants featured on the www.echtbewegend.lu site, on which users could vote for their favourite photo. Personalities who had taken part in the “editor for a day” series kicked off the campaign. This encourged readers to engage with the new campaign through the photo booth, as well as raising the concept’s profile more widely. 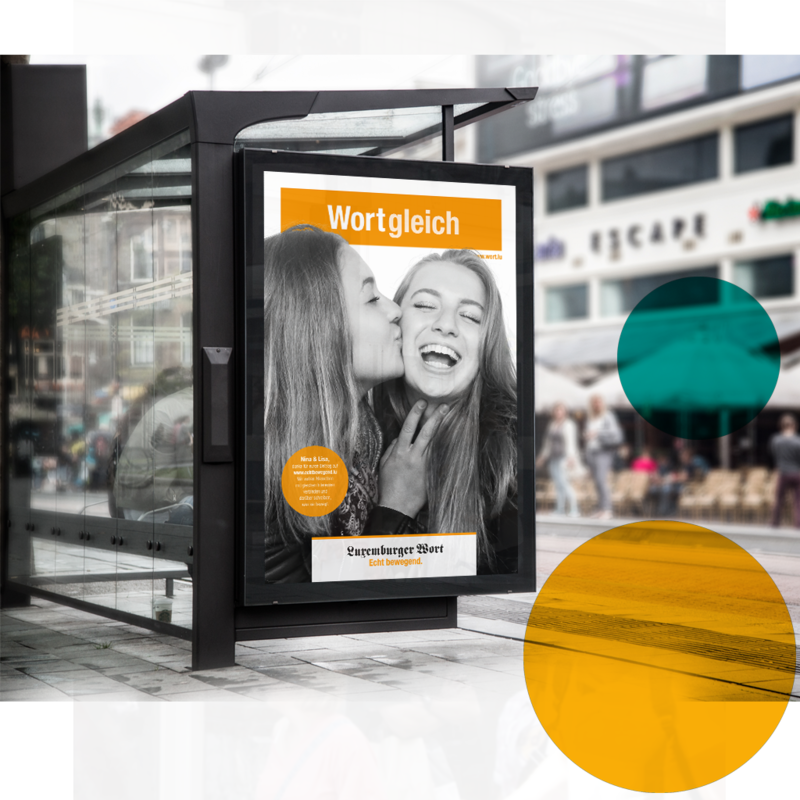 Black and white portraits of personalities showing a range of emotions were published in display ads, on bus shelters and elsewhere. These photos were central to this 360° campaign.